Rosie the Riveter is a children’s storybook about the dream of a future of women working on railroads. The book was written at a time when women working on railroads were few and far between. At story time you can both educate your child as to what jobs it takes to make a railroad operate and promote the idea that women can do the job as well as men. Dream Big! 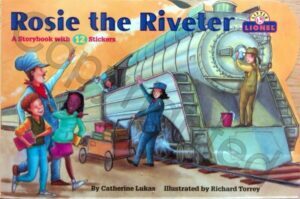 Rosie the Riveter is a children’s storybook about the dream of a future of women working on railroads. The book was written at a time when women working on railroads were few and far between. 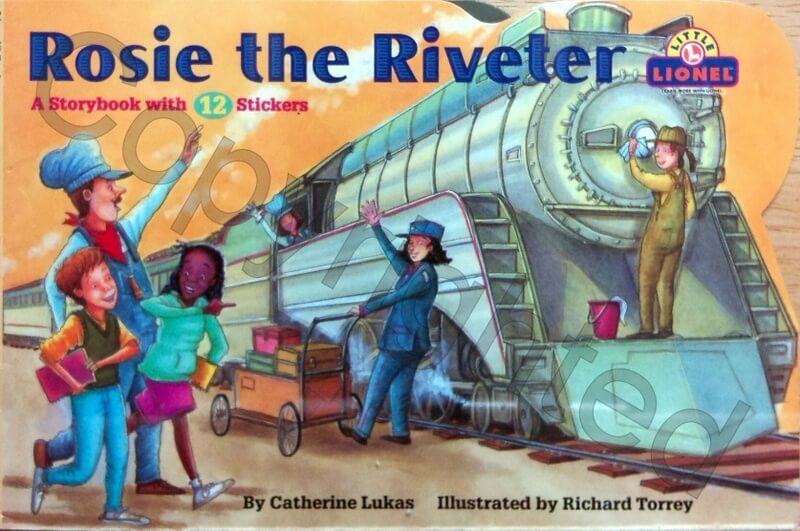 Rosie is a woman who can be an engineer, fireman or conductor on a railroad transporting troops. Maya and her friend Sam visit Zach at a railroad museum. The visit is for a school project on the role of women during World War II. They meet Rosie who tells Maya, Sam and Zack that future generations of women will be able to learn the skills for any job they want. The book was promoted by Lionel corporations under Little Lionel. Little Lionel has the motto “learn more with Lionel”. The author of Rosie the Riveter Catherine Lukas has written other books for beginning readers. Richard Torrey is an author/illustrator of numerous children’s books and has done work for various periodicals. Lionel Corporation produces and sells O gauge railroad equipment, structures, tracks and accessories for all ages. See the Lionel catalogs for sale on this website. Rosie the Riveter is a cultural icon of World War II, representing the women who worked in factories and shipyards during World War II. Many of the women produced munitions and war supplies. Rosie the Riveter is used as a symbol of American feminism and women’s economic power. Rosie the Riveter, a children’s story book, attempts to promote women’s dreams into the new 21st century. 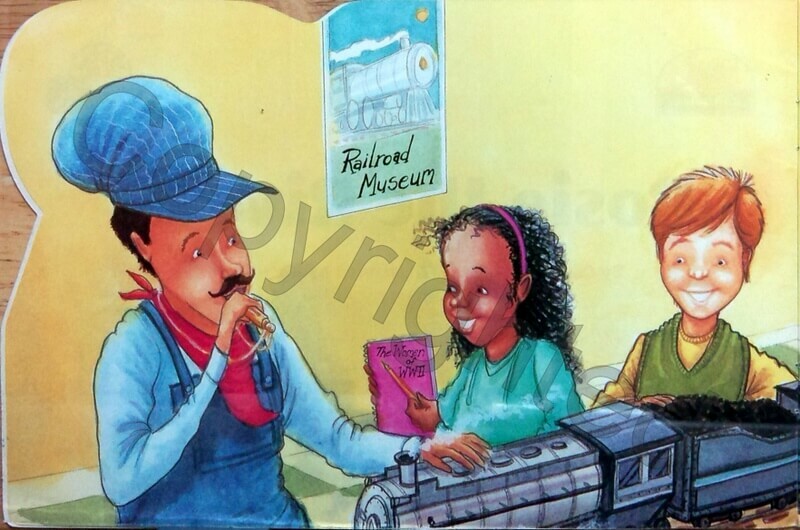 At story time you can both educate your child as to what jobs it takes to make a railroad operate and promote the idea that women can do the job as well as men. Dream Big! The book is in very good condition, but the 12 stickers that originally came with the book are not included.